Every Wednesday a new Interviewed appears on daveygranger.co.uk, featuring people from all over the internet. This week we are joined by my friend Isagination! D: What is it you do on your corner of the internet? I: I got into YouTube a few years ago and always kind of fantasized about having my own channel. I’ve always liked being creative, but I like so many aspects of the creative process that I never really knew how to combine them all. When I made my first video I realized that this pretty much includes all of my favorite things – music, visuals, decorating something so that it looks visually pleasing, writing and then editing it all together. I’ve always been strongly on the music side though, so I made a music channel first where I published covers and a few originals very irregularly. But at some point I felt like I had ideas that went beyond what I could produce with my limited time and budget so I stopped uploading and creating anything for that channel. However, I felt the need to do something again a few months later and started a new channel where I’ve now been posting lifestyle and travel content with the occasional chatty video about topics that mean a lot to me. and I’ve kept it up since more than 2 years which makes me quite happy! D: That’s brilliant, I’m glad you’ve found something which combines so many creative things that you love. Can you tell me a little about your offline life? I: I’m 23 years old, live in Zurich, Switzerland and I’m currently studying to be a teacher. 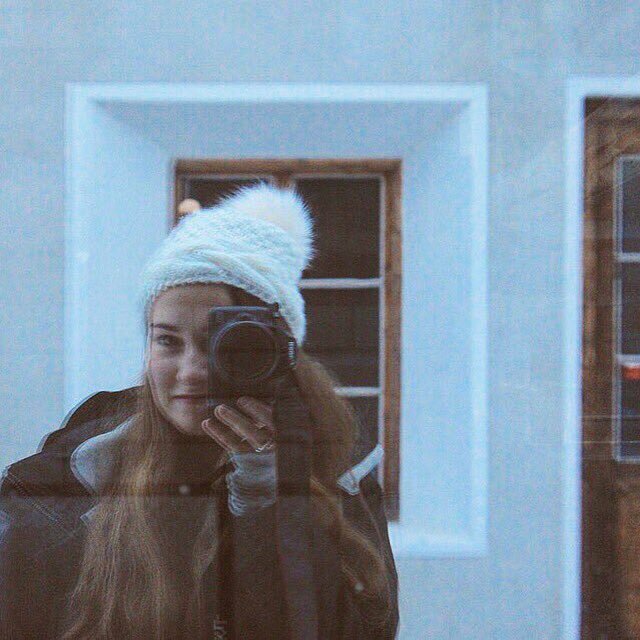 Before that I studied English, but I realized that I wasn’t too happy with it so I took two years to travel and work on the side and that’s when I really got into travel vlogging! I now still work part time at an office and do translating and editing work for them. Apart from traveling I like to read, write and make music in my spare time. D: What is your creative process like? Are there are parts you particularly struggle with? I: I usually get a very spontaneous idea, there’s rarely any specific inspiration to it or maybe a topic that I’ve been thinking about for a while but that’s it.Then I start developing it so that it makes sense in video form and at that point 80% of my ideas fail, either because I don’t have enough time or I’d need another person to help me out or something. The others get filmed and edited and then there’s an additional percentage, say 10%, that never goes up because I don’t agree with the result. The rest goes up and gets published! I don’t have a specific schedule for it though, I film and edit whenever I have time which means that sometimes I film a video a month before it goes up because I didn’t have time to edit. I’m pretty specific with how I want to be represented publicly so I’m quite a perfectionist when it comes to what I upload. I’d say that this is my biggest struggle because it kills a lot of my ideas before they’re even turned into something. D:Whilst that may be a struggle, it’s nice that you ensure you are completely confident with every piece of content you’re putting out into the world! What kick-started you into making content, and what has kept you making it for so long? I: I’ve always created stuff for as long as I can remember; sometimes it was music, sometimes writing, visual arts,etc. I love putting my thoughts and the things I experience around me into something I can look at or listen to and keep the initial feeling I had in the moment of creating said thing. That’s how I started making online content at some point (I was just looking for a new medium I guess, and thus stumbled onto YouTube) and that’s what keeps me going because there’s always something going on I’d like to discuss, explore or turn into content! D: Have you had any opportunities because of your online creations? D: That’s such a cool one though, I’ll keep that in mind if I ever go to Iceland! Are there any moments that stand out to you or something you’ve created which stands out to you? 1) After a while of me making videos that usually got like 30 views or so I made a travel vlog about a trip I took to a French island. At some point a friend of mine on Facebook, that didn’t even know I made videos, liked a post of a friend of her’s who had found my video and was sharing it, talking very lovingly about it and said it made her tear up because she loves this island as much as I do! I sort of found my own video on a friends page and thought – “oh a video about this island, I’ll watch it!” until I realized the thumbnail looked very familiar! That was a weird happy feeling! 2) I put a lot of effort into making a vegan cooking video right on the day the book with the recipes I’d used came out – I rushed so I’d be in time with the release and uploaded it after many hours of filming and editing – and it immediately went to 100, 500, 1K then 10K views! I was jumping up and down the entire night, watching the numbers go up. In hindsight, the video itself doesn’t mean more to me than some that have maybe 40 views, but the fact that my effort was actually validated that day still makes me happy! D: It’s nice to see that people are watching what you make! How do you find a balance of creating content/life? It takes much more time than many people think. I: I don’t really have one! At the moment creative work is my last priority after uni and my part time job though (sadly), so I just use whatever time is left of my week to work on ideas and inspiration I had recently. Sometimes if I have spare time I put it towards creative work before self care though, which isn’t very good and probably means that I haven’t figured this out yet at all. D: It’s so hard to balance isn’t it! I’m sure you’ll work it out soon. Do you have a top 5 influencers who have impacted you and your content? D: Great choices! I love all of their content. Ben’s Instagram is to die for! I met Dodie a couple of years ago at a party, she is one of the kindest people I’ve ever met. She took such a real interest in everyone around her. I: Uhhh I can’t answer that one, you’re gonna hate me forever, because I never actually read or watched Harry Potter (I saw one of the films but that doesn’t really count). D: One day watch them! You will fall in love! Do you have a favourite musician/band/artist currently? I: My favorite band currently is oh wonder! D: I haven’t heard of them! I’ll make sure to listen to them! Finally: do you have a favourite all time movie? I: My blueberry nights, directed by Wong Kar Wai. And there’s an interview with Isagination! You can find her on YouTube, Twitter and Instagram. Come back next Wednesday for INTERVIEWED #3: CALLIESAKURA.